Every day we come into contact with elements that are damaging to our hair. With sun exposure, styling products, hard water, heat, and everyday wear and tear, there are many reasons to take extra care of your hair. Often, the usual shampoo and conditioning routine is not enough to keep your hair looking nourished and healthy. Leave-in conditioners are a great option for combatting those everyday factors and for those with hair that is naturally more dry or damaged. The best leave in conditioner will give you touchable soft and bouncy hair with no extra oil or weight. Damaged hair because more fine, thin, and brittle which results in more breakage over time. To combat this, make conditioning treatments a consistent part of your hair-care routine. To get that soft, nourished, and manageable hair we all dream of, it's important to know the best leave in conditioners on the market. As with any product, it is important to research before you buy. Online research allows you to read reviews and gather a better overall view of the product. Background research gives you the best opportunity to buy the product that is perfect for you the first time. No more money wasted on dream products that do nothing for your hair! 1. What Is Leave-In Conditioner? Hair conditioners can be thought of as armor for your hair. While many are familiar with the traditional rinse-out conditioners used while bathing, there are also leave-in conditioners that are applied to your hair and left in. These nourishing styling products are applied after showering and shampooing to give your hair an extra moisture boost. 2. What Does Leave-In Conditioner Do? The best leave in conditioner will add a thin layer of moisture to your hair. This protects and smooths your hair strands to avoid breakages caused by tangling and protect against the elements. It also increases moisture to promote better long-term health for your hair. 3. How Do Leave-In Conditioners Work? Leave-in conditioners are applied after you shower and shampoo your hair. A small amount is applied to damp hair and worked evenly throughout to condition and detangle. Then you leave it in like any styling product and prepare for the compliments. Since these products are lighter than your average rinse-out conditioner, they won't leave you with greasy or oily hair. You can find leave-in conditioners at any pharmacy, a large grocery or department store, hair salon, or online. 5. What Is The Best Leave In Conditioner For Me? The best leave in conditioner for your hair depends on your hair type, so the first step is to determine what kind of hair you have. Are you more dry or oily? Thin or thick? Smooth or frizzy? Straight or curly? Your answers to these questions will help determine the best type and amount of leave in conditioner to apply. All products were reviewed based on the following parameters: Features, Pros & Cons, Price, Where to Buy, and Warranty. Since there are many leave-in conditioners on the market, we invested time and effort to research different products and offer an unbiased list of the best products currently on the market. 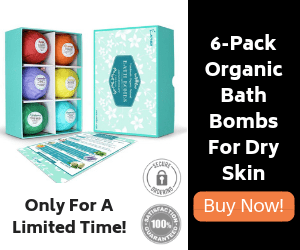 This list reviews a sample of what is being offered in 2019 and is not a comprehensive list of the best leave in conditioners in the past or future. The average cost of a leave-in conditioned ranges from $9 to $55. 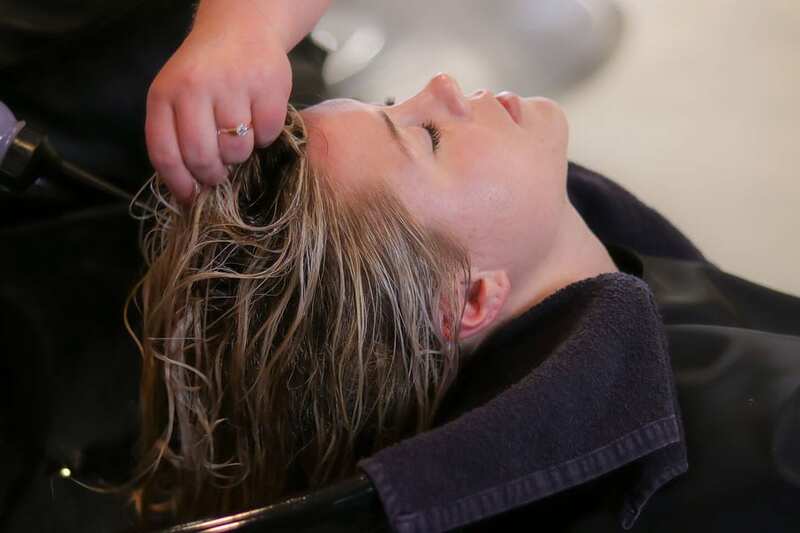 The higher price usually means salon quality though the higher quality is not always guaranteed. Those products at the lower price points may be just as effective but contain fewer high dollar ingredients. Everyone's hair is unique, and so there is no way to know what works best for your hair until you try it. Salerm 21 B5 is a protein-based leave-in conditioner which means it works deep in the hair root and follicle to build strength. It also contains vitamin B5 to restore shine and lock in moisture. Those extra proteins and vitamins make this the best leave in conditioner for those with brittle or dull hair. This product can be found on Amazon for around $28 to 40 . This is the best leave in conditioner for those with frizzy and unmanageable hair. Wella Enrich Moisturizing Leave-in Balm smooths frizz while also making your hair more silky, soft, and ready to be styled. This product can be found on Amazon for around $8 to $20. This hair milk contains roucou oil (similar to argan oil, but better) to increase shine. This is the best leave in conditioner for those wanting a sleek and bouncy commercial look that will make others think you hired a professional stylist. This product can be found on Amazon for around $25 t0 45. This is the best leave in conditioner for dry or damaged curly hair. Your curls will be bouncy, defined and frizz-free after applying this oil-free leave in conditioner. Keeps your hair moisturized and nourished while blocking frizz-causing humidity. This product can be found on Amazon for around $30 to $50. Briogeo products are vegan and cruelty-free which means you can feel good about more than just your beautiful hair. Their Don't Despair, Repair! Deep Conditioning Mask is perfect for those in need of a hair reboot. The all natural ingredients include argan oil, rosehip, and algae to restore hair quality, balance hydration, and strengthen hair. This product can be found on Amazon for around $28 to $40. Just Natural Hair Care products are just that... natural. Natural oils from avocado and meadow foam provide lasting hydration without leaving a residue. Fenugreek, calendula and horsetail extracts help strengthen and moisturize, resulting in healthier and shinier hair. This product can be found on Amazon for around $20 to $35. ORIBE Supershine Light Moisturizing Crème, 5 fl. oz. The price points on this product may scare some buyers away, but the quality is worth it. For your money, you get a professional salon-grade product that doubles as a conditioner and styling cream. This is the best leave in conditioner for those wanting higher quality and fewer products on their bathroom shelf. While it's suitable for a variety of hair types, this lightweight cream is catered toward fine to medium strength and extra long hair. This product can be found on Amazon for around $45 to $60. As I Am Leave In Conditioner helps strengthen hair and promote healthy hair growth. This is the best leave in conditioner for those wanting to grow long and healthy locks. Apply liberally to damp hair before styling. This product can be found on Amazon for around $5 to $15. SACHAJUAN Leave In Conditioner, 8.4 fl. oz. 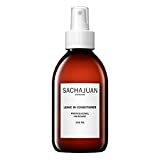 Sachajuan has made the best leave in conditioner for thin and fine hair types. This oil-free conditioning treatment works well for styling as well and will bring moisture, body, and shine to your hair. The ingredients used in this product also promote a healthy scalp - the foundation for a good head of hair. The Paul Mitchell Original Leave-In Conditioner is the best leave in conditioner to moisturize and smooth hair, reduce static, prevent dryness and get dull strands back into shape. Catered to all hair types, this classic product serves those who need a little more moisture and a little less frizz in their day. This product can be found on Amazon for around $15 to $30 . Paul Mitchell products have been around for a long time for good reason. These styling products are affordable, professional grade, and simple enough for anyone to use. Whether you're new to leave in conditioners or an old pro, more budget conscious or willing to spend money on great products, there's no arguing the effectiveness of Paul Mitchell's Original Leave-in Conditioner. Not only will your hair look and feel nourished after use, the targeted scalp moisturizers result in an overall healthy head of hair and promote strong hair growth. Long luscious locks that look straight off a magazine page? Yes, please! The higher the price point, the more professional grade the product. That is certainly true of Oribe's Supershine Light Moisturizing Creme. Doubling as a moisturizing treatment and styling product, salon professionals will love how easy it is to use. Clients will walk away from your salon chair with beautifully moisturized and perfect styled hair that looks and smells divine. If you're new to leave in conditioners and aren't sure where to start, the best option is Wella's Enrich Moisturizing Leave-in Balm. Application of this balm is very easy and doesn't leave your hair feeling greasy afterward. You can also apply it to those pesky fly-aways that pop up throughout the day. And to top it all off, it's only $10. Do yourself (and your hair) a favor and go buy this one today! As we mentioned above, you can't go wrong with the Paul Mitchell Original Leave-in Conditioner. This cream works well with all hair types and doubles as a scalp conditioner and styling cream. With its about $20 price point, there's no denying this is the best leave in conditioner for anyone, but especially those on a budget.